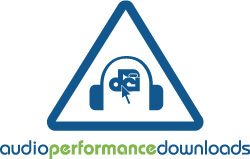 Drum Corps International Audio Performance Downloads (APDs) are here! After select 2008 DCI Summer Tour events, you'll be able to purchase and download live performances of your favorite corps straight to your computer's hard drive. Jam out to the sweet sounds of summer by burning your APDs to a CD or sync them to your iPod or other audio device. APDs recorded at the June 28 DCI Madison Premier Event are now available including performances of the Cadets, Carolina Crown, Cavaliers, Blue Knights, Boston Crusaders, Bluecoats, Glassmen, Spirit, Madison Scouts, Blue Stars, Crossmen, Troopers and Pioneer. You can purchase your APDs through the DCI Fan Network, and remember, Fan Network subscribers receive a special discount on all downloads. One-hundred percent of APD proceeds go back to the corps to help offset annual touring costs. Buy your DCI Madison APDs today. Subscribe to the Fan Network now for exclusive APD discounts. View the complete 2008 APD recording schedule.